No More "Russian Language Trampoline"
Russian, though still widely in use in Azerbaijan, is not the prestigious language it once was. And when it comes to translations, Russian is no longer the "trampoline" from which all works must catapult. These days, Azeri is translated directly into English, French, German and other languages and vice versa. There is no middle language-Russian-as there use to be. Markets are changing. 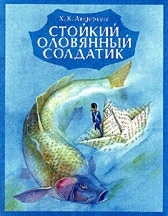 Above: Russian translations of children's works by Danish writer, Hans Christian Anderson, a favorite in Azerbaijan. A cold room. A man in his sixties, jacket draped over his shoulders, is sitting at his desk in the editorial office of the influential Russian newspaper, the "Bakinskiy Rabochiy" ("Baku Worker" in Russian). It's a new position for him. Vladimir Gafarov became Deputy Editor-in-Chief of the influential newspaper out of necessity. He'd rather be translating poetry or writing it himself just as he did in the past. Gafarov is one of the grand patriarchs of Russian translation in Azerbaijan. But language usage is shifting today, and this literary giant who worked so many years to refine his language skills finds himself scrambling for a job. "Translation, says Gafarov, "is hard work, but it's generally satisfying. Translating poetry is much more difficult than fiction. The translator himself much have poetic inclinations, a sense of rhythm, and an incredible lexical knowledge of both languages. It used to pay well. Gafarov used to live a quiet, secure life. Today, he makes about 170,000 manats (approximately $40) per month. His wife's pension is 100,000 ($22). "Is it possible to live on such little money?" he asks. On his desk are eight books of poetry ready to be published. They're significant works-some of the best classical writers in Azerbaijani literature, such as the epic legend of Koroglu, and works of poetess, Mehseti Ganjavi (late 11th-early 12th century), and poets Molla Panah Vagif (18th century), Vahid (20th century) and Fuzuli (12th century). Gafarov is especially fond of Fuzuli. He's convinced there are really no good translations of Fuzuli's work in Russian. "Reading some of Fuzuli's poems in translation is like chewing on a boiled potato. I can't say whether I've succeeded in expressing his philosophy or not, but at least my translations readable." Gafarov has also been busy translating a collection of "bayaty", 2,500 lines in total. "Bayaty," as a very old poetic form (perhaps more than a thousand years), is one of the most difficult genres to translate. It consists of only four lines but like Japanese verse, the form is very meaningful and popular among the nation. According to Gafarov, so few people in the world even know of the existence of this form in Azerbaijan. He has collected many of the elegiac and sorrowful "bayaty", which reflect the recent events which have befallen the nation-topics like the war, its victims and martyrs, refugees, and the struggles of life. But these days, it's extremely hard to publish any books at all. Gafarov quotes Anar, the President of the Azerbaijan Writer's Union who has often said, "In the past, you became a rich man after you published a book. Today, you have to be a rich man to publish a book." Not only is the price of paper extremely high but for Gafarov, the number of Russian language readers in Azerbaijan has seriously diminished. He used to work for the "outer market" meaning works for export outside of Azerbaijan but within the boundaries of the USSR. 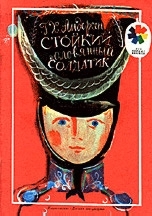 In the past, many of his translations were published in Moscow or Leningrad. But since the collapse of the former Soviet Union, all the Republics are tending towards using their own native languages, not Russian. It's a new day for the former Republics of the Soviet Union. With priorities changing, the markets are changing, too, but it's important for the former Republics not to totally discard the past in their rush to embrace the future-literary legacy is at stake, too. Shaig Safarov works as Public Relations Liaison with Unocal and is deeply involved with Azerbaijan's literary community.